China will cut car import duties from 25pc to 15pc as the prospect of a trade war with the US fades. The world’s largest car market will lower the import tariffs from July 1, following threats from Donald Trump of retaliatory action. The US President had complained that Chinese-made cars coming into America faced only a 2.5pc levy and warned he could act to level the imbalance. 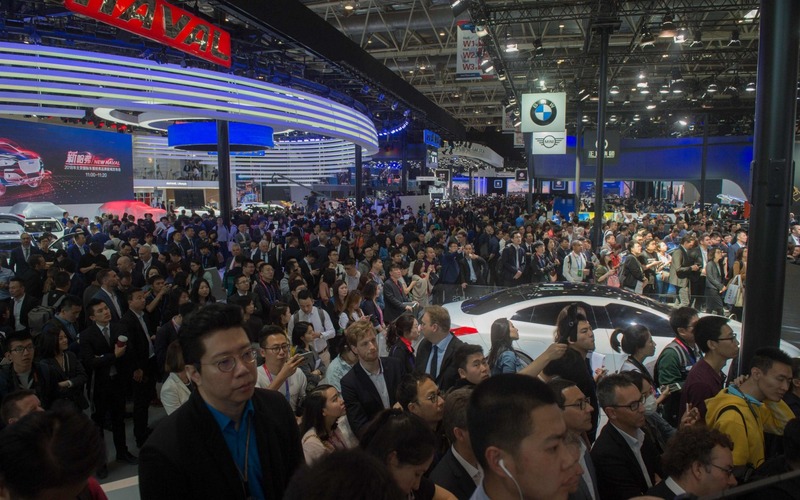 The concession from Beijing comes as Western and Japanese car companies look to grab a bigger slice of China’s burgeoning car market. China had sales of 24.2m vehicles last year - quadruple the amount just 10 years ago. The US, the next biggest market, had 17.3m sales last year. In 2017 China imported about $50bn (?37.2bn) of cars. Germany and the US each exported about $13bn worth of vehicles, Japan $9bn and the UK $7bn. The tariff reduction comes shortly after China's vice-premier Liu He and US Treasury Secretary Steve Mnuchin met for talks in Washington aimed at heading off a trade war, agreeing not to impose tariffs on billions of dollars' worth of goods. In April Chinese premier Xi Jinping signalled he was ready to make concessions, saying a “Cold War mentality and zero-sum games are becoming increasingly obsolete and outdated”. China is a prime market for premium car brands as motorists there seek out the status given by driving an upmarket foreign car. News of the tariff easing gave a lift to luxury car companies operating in China. Shares in Jaguar Land Rover parent Tata Motors rose almost 5pc, while Mercedes-owner Daimler and BMW both gained more than 1pc. Porsche, which is part of the VW Group, said that “Chinese customers will have a chance to... pursue more personalised options when buying a car” thanks to the tariff reduction. China currently requires car companies that want to set up in the country to form 50:50 joint ventures with local companies as a condition of being able to build and sell vehicles there, though Beijing has said it will act to change this. As well as limiting profits, this arrangement has led to concerns that the domestic companies are using the partnerships to gain access to intellectual property. Once sufficient knowledge has been amassed, there is a fear foreign companies could be booted out of China.